BIOEFFECT EGF DAY SERUM is an advanced anti-aging serum specifically developed for daytime use as an effective routine along with our bestseller BIOEFFECT EGF SERUM. 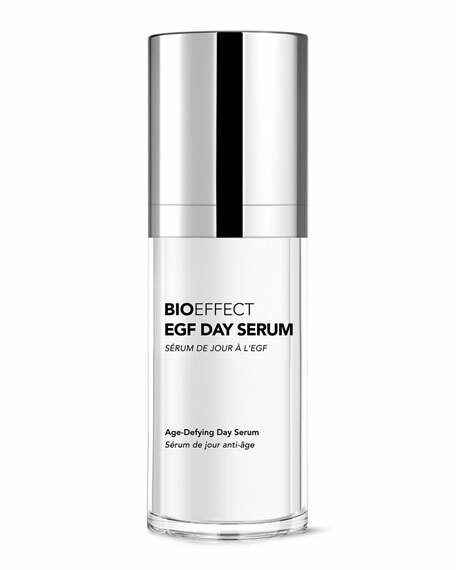 BIOEFFECT EGF DAY SERUM delivers multiple anti-aging benefits, restores the skin's moisture balance and provides a smooth finish, an ideal base for make-up application. In the morning, apply 1-2 pumps to the face and neck on clean skin. Allow the serum to absorb completely for a few minutes before applying makeup or sunscreen. For best results, combine with use of BIOEFFECT EGF SERUM at night.